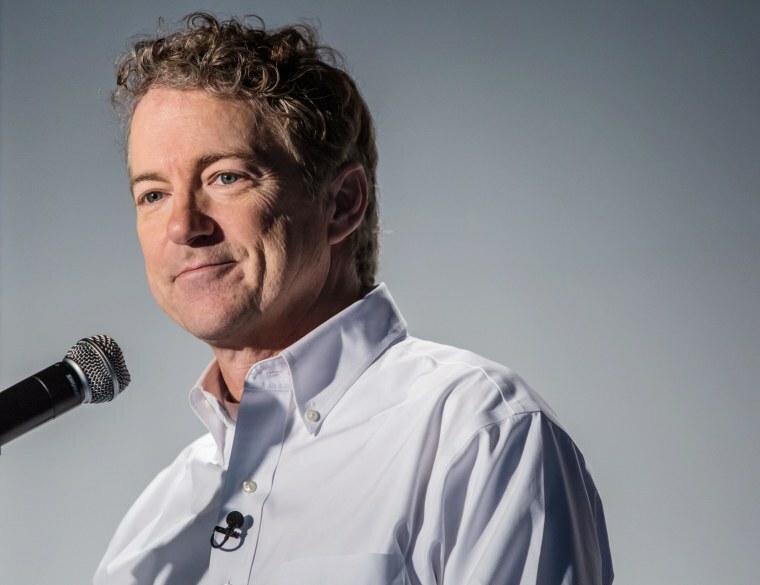 Sen. Rand Paul was "blindsided" and broke five ribs when he was tackled by a neighbor at his home in Bowling Green, Kentucky, police and an aide to Paul said Sunday. Rene Boucher, 59, of Bowling Green, was charged with one count of fourth-degree assault in the incident, which occurred at about 3:20 p.m. (4:20 p.m. ET) Friday, Kentucky State Police said. Doug Stafford, a senior adviser, said Sunday night that Paul suffered five rib fractures, including three displaced fractures. Earlier reports Saturday and early Sunday said the senator suffered only minor injuries. "It is not clear exactly how soon he will return to work, as the pain is considerable, as is the difficulty in getting around, including flying," Stafford said. After Paul reported the assault, the Warren County attorney's office issued an arrest warrant and a trooper arrested Boucher soon after, police said. Boucher was released on $7,500 bail, Reuters reported Sunday. A criminal complaint says Paul "told police that his neighbor came onto his property and tackled him from behind, forcing him to the ground and causing pain." Boucher admitted tackling Paul, the criminal complaint says. A neighbor told NBC affiliate WAVE of Louisville that the two men have had ongoing problems and that Paul was mowing the lawn at the time of the assault. State police wouldn't confirm those details. They said that the FBI was involved in the investigation but that it will be led by the trooper who made the arrest. Paul thanked supporters on Sunday via his official Twitter account. CORRECTION (Nov. 4, 10:27 p.m.): An earlier version of this article misstated the relationship between Paul and Boucher. They are acquainted with each other, according to the police; it is not the case they had never met.